Yes, the Apprentikids™ are back! As the BBC blurb reliably informs us, it is an education like no other. Chosen from thousands of applicants for their potential to make great TV entrepreneurial spirit, the candidates will compete for a £25,000 fund intended to pay off their impending student debts kick-start a business career. These tycoons of tomorrow come from all over Britain. Some are from council estates, others attend public schools, but they all share one thing in common: a burning passion for business. In this post, I’ll preview this year’s candidates and next week’s opening task, but first here is a quick reminder of what happened last season. The inaugural season of Junior Apprentice featured ten candidates battling it out over six tasks ranging from selling cheese and cupcakes to inventing new camping accessories and pitching new products on behalf of designers. The most memorable candidate was arguably 16-year old Londoner Zoe Plummer, whose sound business instincts were often buried under a caricature veneer of haughtiness and downright arrogance. But the eventual winner was Arjun Rajyagor, whose all-round ability, boundless enthusiasm and attention to detail – foreshadowing Tom Pellereau, he was rarely seen without his calculator to hand – saw him triumph in the final task, in which the candidates had to work as pairs (Arjun with Tim Ankers, Zoe with Kirsty Cleaver) to create a new bottled water brand. As a demonstration of business acumen, the juniors often put their grown-up counterparts to shame, showing that age and experience aren’t necessarily everything. Another key trend that emerged during the tasks was that every task bar the final one was won by a female project manager. Make of that what you will. Currently studying for: Business Diploma. About Ben: Started a gardening business in 2008. Involved in social enterprise projects providing voluntary services to the allotment association. Hopes to help those with learning and behavioural problems study horticulture and agriculture. I am an ordinary lad who wants to do the best not just for myself but for everyone. 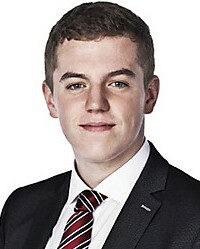 His role: Like Tim Ankers last year, the token country bumpkin who has been selected for having genuine potential, not because he looks good on TV. Currently studying for: International Baccalaureate. I aim high. I don’t aim low ever, what are you ever going to gain from that? I aim high and I get there because of that determination, because I’m pretty ruthless in how I get there. His role: A tall poppy. In the great British tradition, he will be set up as the next hero of British business, only to crash and burn horribly. Currently studying for: Pre-Us in Maths and Further Maths and A Levels in Geography and Economics and the Extended Project. About Harry: A School prefect, polo enthusiast and water-sports fanatic, as well as being a talented singer and pianist. Inspired by Simon Cowell. (Let’s hope he doesn’t share his taste in high-waisted trousers.) Started his first business when he was ten, selling tickets on the internet. Has already started three successful businesses, encompassing travel, marketing, property and cosmetics. In terms of my intellect, self-motivation, confidence, and business instinct for my age, I am unrivalled. I have a pure entrepreneurial gift waiting to be unleashed and harnessed. His role in the series: The next Richard Branson. Or the next Branston pickle? I’m guessing the latter. Nobody will want to see a posh bloke win, even if he is deserving. Currently studying for: A Levels in English, Economics, Spanish and Biology. About James: Describes himself as a risk-taker who follows his gut instinct. Got the joint-highest score in GCSE Economics in Northern Ireland. Feels he is a natural businessman, with a passion for economics. A massive football fan. I have integrity, but when winning gets in the way of integrity, integrity goes out the window. A cross between Stuart Baggs and ‘Jedi’ Jim Eastwood? Currently studying for: A Levels in World Development, Psychology, Performing Arts and ICT. About Lewis: Describes himself as ‘confident, charismatic and clever’. Worked as an assistant stylist at a hair salon. A keen shopper and gym buff. Works in the food industry and hopes to change the world of business forever. I’m not arrogant or backstabbing, I’m just a really great guy. His role: The sensitive one who has lots of good ideas but is constantly shouted down by everyone else. Currently studying for: A Levels in Politics, Law, Economics and Psychology. 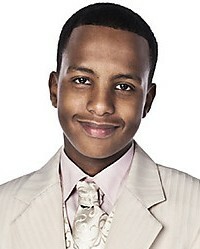 About Mahamed: A keen inventor and fundraiser who describes himself as ‘competitive and charismatic’. Has already made money buying and selling TV satellites. Inspired by Microsoft and Facebook. The Youth Parliament Representative for his borough, he hopes to bring about ‘monumental change’ using politics and youth outreach schemes. I have so many abilities and so many talents. I want to prove what an entrepreneurial person I am. His role: The ethical one with the social conscience. Currently studying for: A Fashion and Design Advanced BTEC and an A Level in Business Studies. About Gbemi: An award-winning fashion designer who has already started her own clothing line and is involved in both designing and making the clothes. Lists Louis Vuitton as her inspiration. Describes herself as a ‘diva’. If I believe that what I’m saying is right I will argue until my full voice and my full opinion is heard. Her role: To throw the mother of all diva strops. Currently studying for: A Levels in Government and Politics, History, Economics, Philosophy and Ethics. About Hannah: Has made money re-selling vintage clothes and creating school leavers’ hoodies. Plays for two football teams. 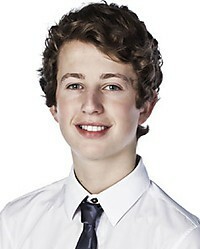 Also enjoys architecture and hopes to get involved in property management. I want to show that you can succeed in the business field, without relying on numerous qualifications. The right mind and attitude is ultimately a much more important quality than 12 A*s.
Her role: A level-headed, pragmatic team player. Currently studying for: A Levels in Maths, Further Maths, Economics, Biology and an Extended Project. About Haya: Born in Iraq, moved to England with her family at the age of 6. A self-proclaimed bossy-boots who is determined to succeed in business. A keen eBay trader who wishes she was the brains behind MAC cosmetics. 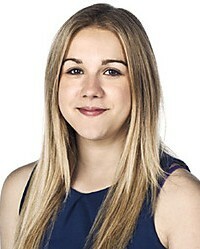 I have a big ego … I want to be known as Haya Al Dlame, the next deserving winner of Young Apprentice. Her role: To fail spectacularly within touching distance of the prize, having tried to emulate last season’s Zoe Plummer. Currently studying for: A Levels in Biology, Maths, Business & Economics and ICT. About Hayley: A former Head Girl, farmer’s daughter and member of Young Farmers. Passionately disagrees with people claiming benefits when they could be working. Inspired by Innocent, and sells free range, organic eggs from her own chickens. I wear wellies, and I am not afraid to muck in. 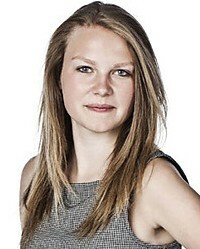 Her role: The organiser and doer – the Young Apprentice equivalent of senior Apprentice runner-up Helen Milligan. Likely to win any lookalike task with her impersonation of Kirsten Dunst. Currently studying for: A Levels in Economics, History, Politics and General Studies. About Lizzie: A published author and rounders champion who breeds Jack Russell terriers. First job was collecting glasses in a pub. Now has her own business designing personalised guitar straps. An impatient time freak. I’m very, very determined and if I know how to get something I will get it. Her role: To be the candidate who throws herself head-first into any project, only to fall down for a lack of planning. Currently studying for: A Levels in English Literature, Maths, History and Theatre Studies. About Zara: A former baby model who won a sock design competition when she was seven years old. A film enthusiast inspired by Katherine Bigelow, the first female director to win an Oscar, and currently produces films for charities. Her role: The arty, pretentious one. Please, please, please let there be an advertising task. Every season needs a ‘Pants Man’, preferably in the style of The Hurt Locker. We kick off with a traditional ‘make-and-sell’ task. The boys are pitted against the girls as Lord Sugar sets the task of making a new range of frozen treats, ice creams, sorbets and frozen yogurts to sell direct to the general public. 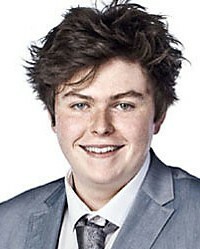 Young Apprentice starts on BBC1 on Monday at 9pm, running for eight episodes. 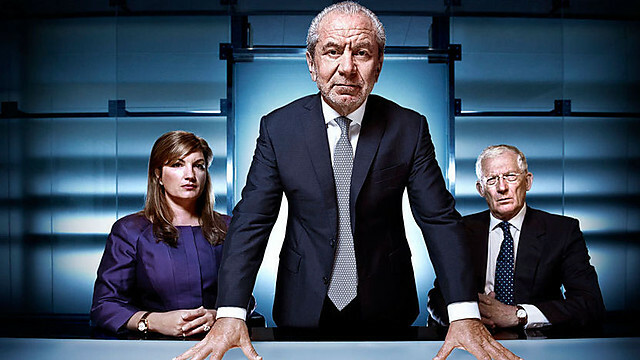 Posted in Entertainment, The Apprentice, TV & film and tagged Alan Sugar, Arjun Rajyagor, Ben Fowler, Gbemi Okunlola, Hannah Richards, Harry Hitchens, Harry Maxwell, Haya Al Dlame, Hayley Forrester, James McCullagh, Junior Apprentice, Karren Brady, Kirsty Cleaver, Lewis Roman, Lizzie Magee, Lord Sugar, Mahamed Awale, Nick Hewer, Tim Ankers, Young Apprentice, Zara Brownless, Zoe Plummer. Bookmark the permalink. Really looking foward to the series and reading your reviews after each episode. The name change is really annoying me though….